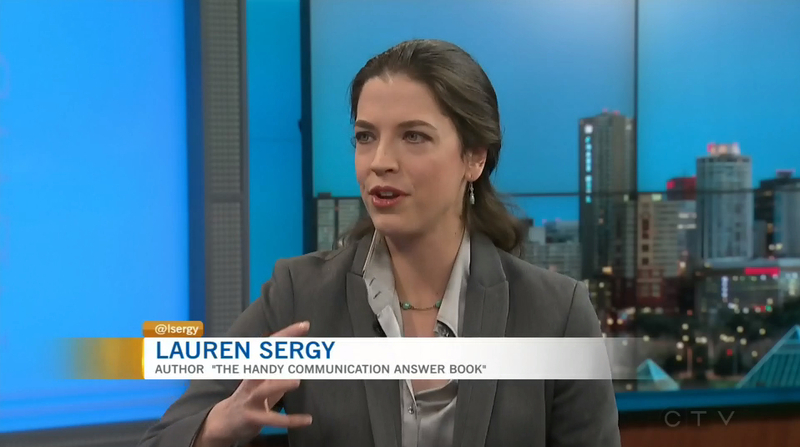 Lauren Sergy dropped by CTV Edmonton news on March 31st to discuss her new book, The Handy Communication Answer Book. She shared some tips for viewers on effective communication in the workplace, how to deal with different co-worker personalities, and common challenges we all face. In addition to verbal communication, she tackled email best practices in the workplace, and helped viewers better understand how tone and context can be hard to navigate. Lauren’s expertise extends to areas of communication far beyond workplace application as well. You can watch the entire interview HERE.